In the same way design needs careful planning, balance, and a myriad of other essential and (sometimes) taken-for-granted features, so do our lives. Great designers aren’t built from working 60-hour weeks. Great designers are built from treating their own lives with respect. We need to treat our lives the way we treat our designs. One of the best ways to go about this: Look at your life like it’s a design brief you just got from a client. Here’s how I’d go about this. Think about who you are, what you want, and what’ll make you happiest. Although those things might change over time, as long as you’re always evaluating and understanding your own direction and goals, you’ll make better decisions. Your own art direction and balance involves more than just deciding to work less or to work smarter. You need to create intrinsic value—value that’s not motivated by external factors like money. Set personal and professional goals in order to give yourself direction and focus, write them down, and keep them somewhere you’ll see them every day. And tell your friends and family what your goals are (more on this later). 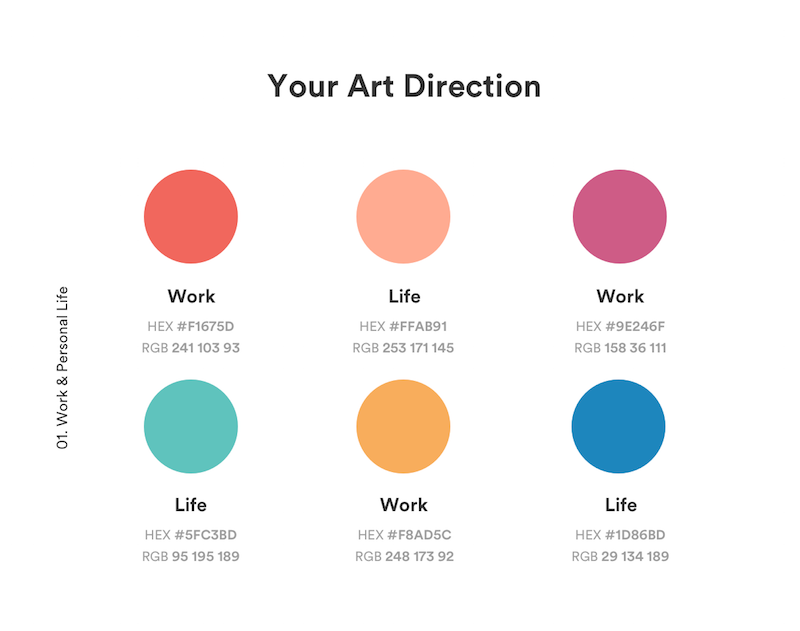 Direction that’s meaningful, achievable, and consistent creates good designs, which is why it’s key to spend time on this approach when you’re designing your own work-life balance. With a decent set of goals and a strong reference point of what you want, you’ll have a solid foundation to build on. 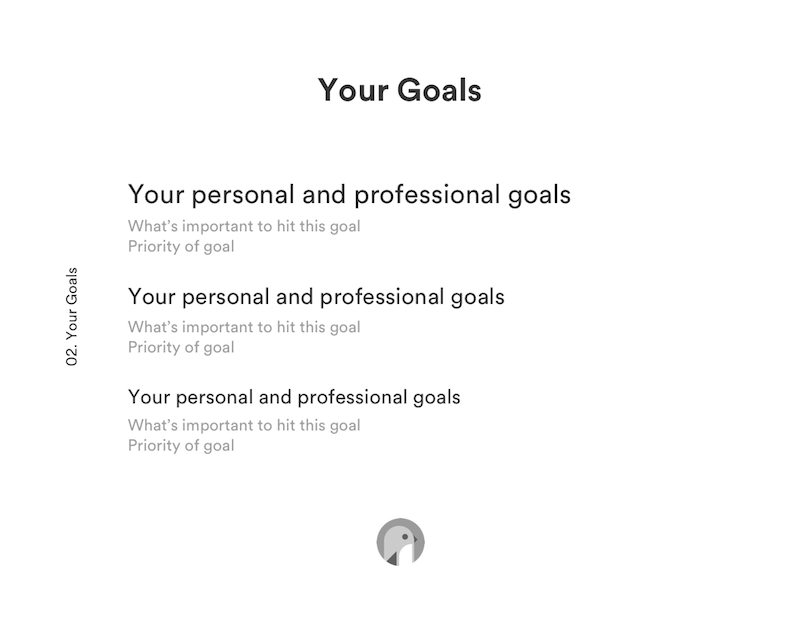 For goal tracking, I use tools like Todoist to update what’s on my plate and Fantastical to block out time for what’s important. Direction is crucial to everything else in this project, so don’t rush this part. What information is important for a user to see? When should they see it, and how will that information guide them to make decisions? Being able to answer these questions creates meaningful information hierarchy and importance. With your personal and professional goals set, decide what you need to do to hit those goals, their order of importance, and the amount of involvement they’ll need from you. In the same way that signing up for a paid subscription takes a higher level of involvement from a user, some of your goals will take more commitment than others. Is learning to play “Fur Elise” more important than getting in shape? Is it more important than learning Swift? That’s up to you. Don’t let one goal obscure all the others —allocate your resources accordingly. So if you’re working too much at your job, put more emphasis on your personal goals. With your goals and information hierarchy set, you’re ready to start actually creating balance. Creating balance is the tricky step in designing anything. It’s the colors, fonts, line weights, icons, images, illustrations—essentially, all the hard work. Balance is what makes everything “feel right” and what makes everything work. Achieving balance in your own life means putting in the time and energy to hit your personal and professional goals, with an emphasis on balancing the 2. Find an equilibrium between elements like time, motivation, efficiency, willpower, energy, and honesty. To borrow from our previous example: Say you’re not making much progress learning “Fur Elise.” Maybe it’s because you aren’t experimenting to find what’s working and what isn’t. Instead of looking at the bigger picture, you’re just banging your head against the wall and getting nowhere. But step back and you might realize your motivation is lacking and you’re not making the effort that you need to, or that your willpower is taking a beating and you’re not saying no to the right things. When you step away from a design, sometimes you’ll go back and change things. Why? Because when they’ve been changed, they work better with everything else. Find out what’s not working and why it’s not working—and then do what you can to fix that. Track what you’re doing and talk to as many people as you can. Tell friends and family your goals so they hold you accountable. Don’t be afraid to reach out to a colleague or someone you admire to ask how they manage their own work-life balance. If you don’t have a mentor, find one. 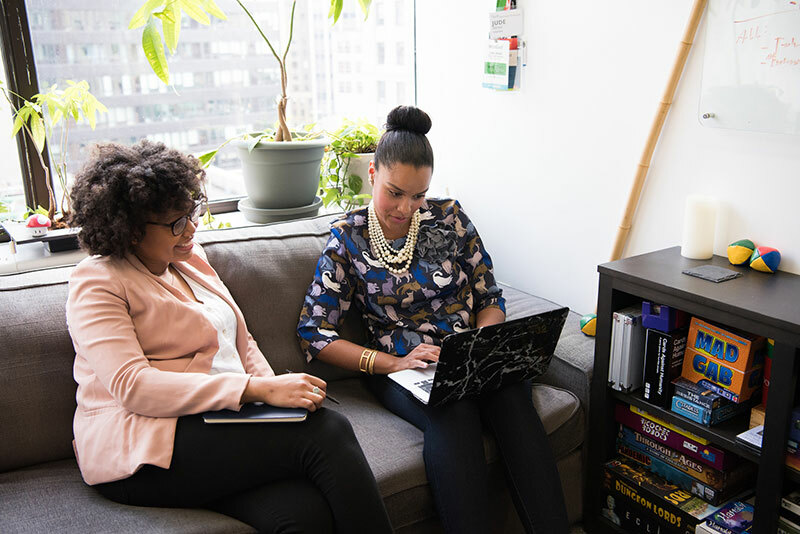 Photo by #WOCinTech Chat. Reach out to people you admire and ask them for advice, feedback, and tips—what they tell you can be game-changing. If you don’t have a mentor, find one. 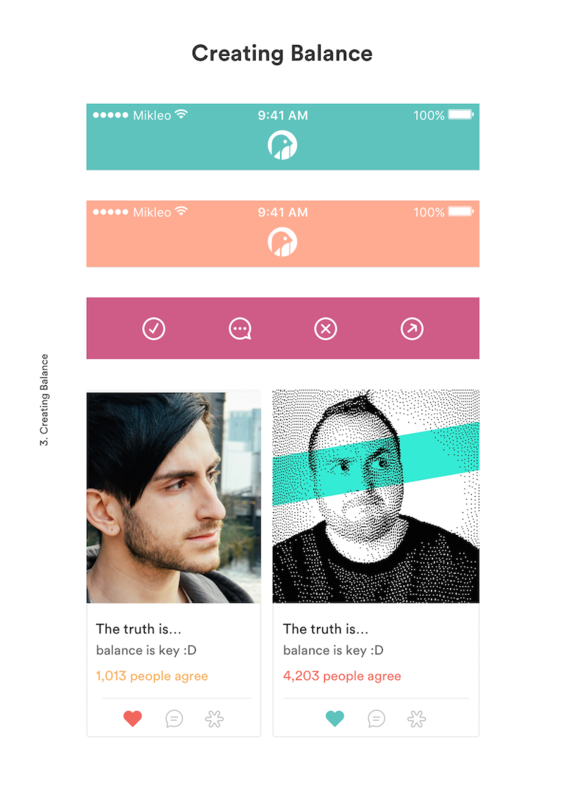 As designers, we need to remember that we’re human. We work to live, not live to work. Finding balance in your own life could be as simple as comparing your life to your designs, then being willing to subtract things and make changes. It’s up to you to identify and to take advantage of your existing skillset to make that happen.